Entering the Joint Security Area. I had been to the JSA from the south side just weeks before - and this time, although security was still tight, the DPRK Guards were much more at ease. Entering the Joint Security Area. 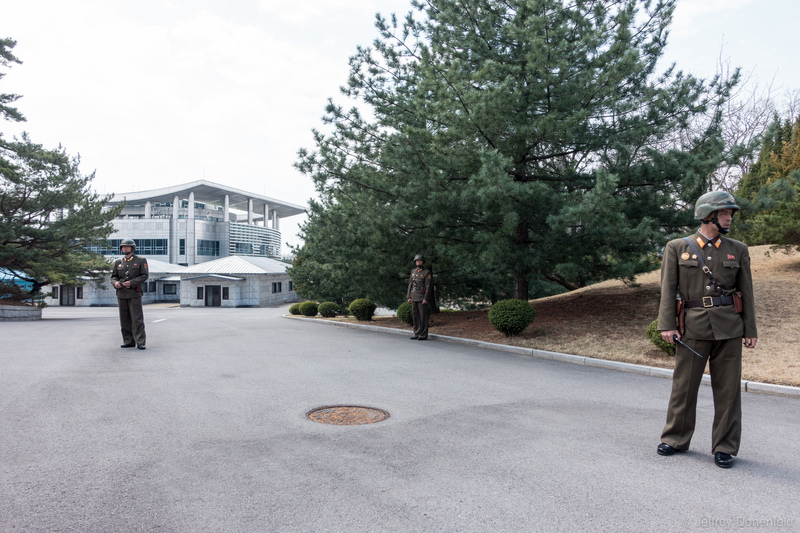 I had been to the JSA from the south side just weeks before – and this time, although security was still tight, the DPRK Guards were much more at ease.